Hi, it might be a Hentz orbweaver, Neoscona cucifera. 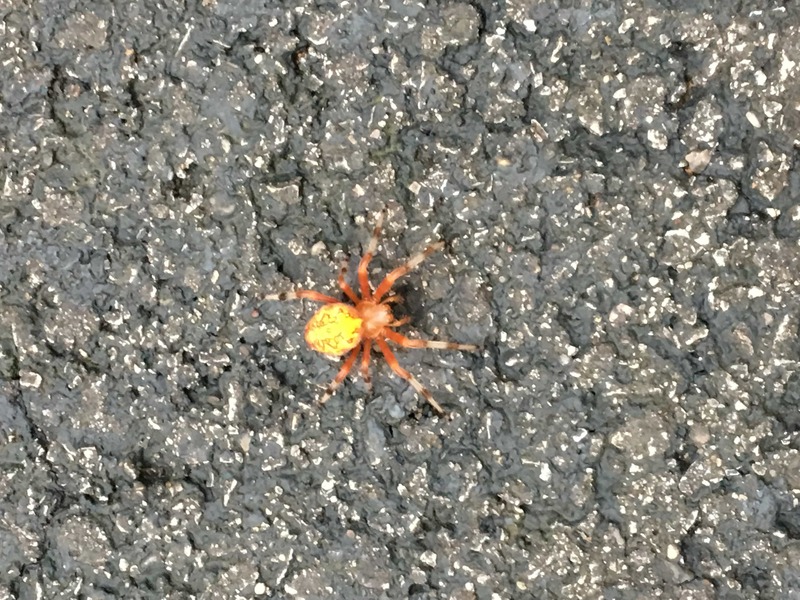 I’m not sure if that is the exact species, but she is an orbweaver. They make big circular webs and hang with their head toward the ground. Females, like yours have much bigger abdomens than the males.